dacadoo is a safe health and fitness platform that inspires users to live a healthier life. 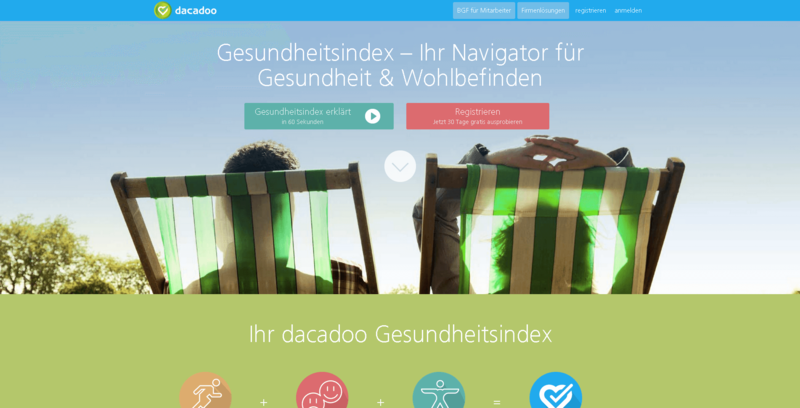 The platform calculates an individual dacadoo Health Score ® (1 – 1000) that reflects the current state of health. By integrating gaming and social networking principles, users are motivated to be easily active by consciously tracking and comparing their health, fitness and lifestyle. Ilscipio advised dacadoo ag strategically on the development and implementation of search engine optimization.